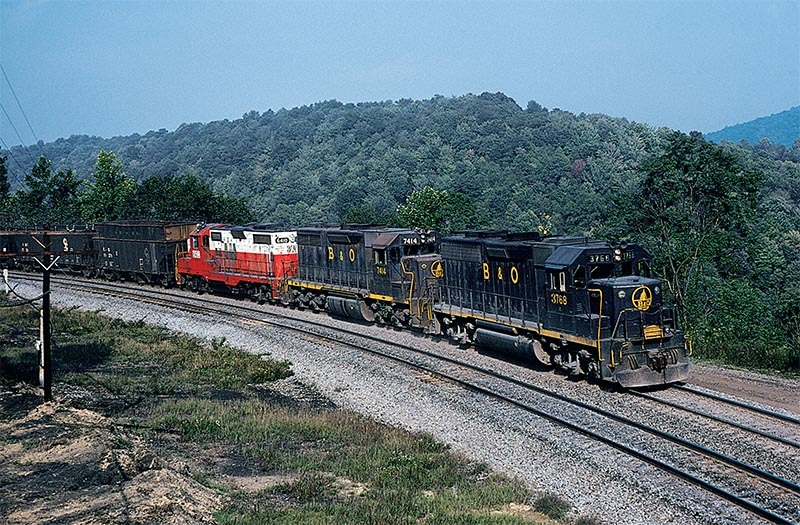 An eight-unit consist fronted by Balitmore & Ohio GP40-2 #4191 takes charge of the St. Louis Trailer Train as it hustles westbound past a classic set of color-position-light signals at McMillan, W. Va., on October 23, 1982. Generally on the weekends the B&O Power Bureau would dispatch units west from Philadelphia and Cumberland to balance power at such B&O terminals as Cincinnati and East St. Louis. Kodachrome by Dave Ori. Wild and wonderful West Virginia—The Mountaineer State—with its majestic mountains and rugged beauty. At one time it was home to such eastern rail giants as the Baltimore & Ohio, Chesapeake & Ohio (Chessie System) and the Norfolk & Western. 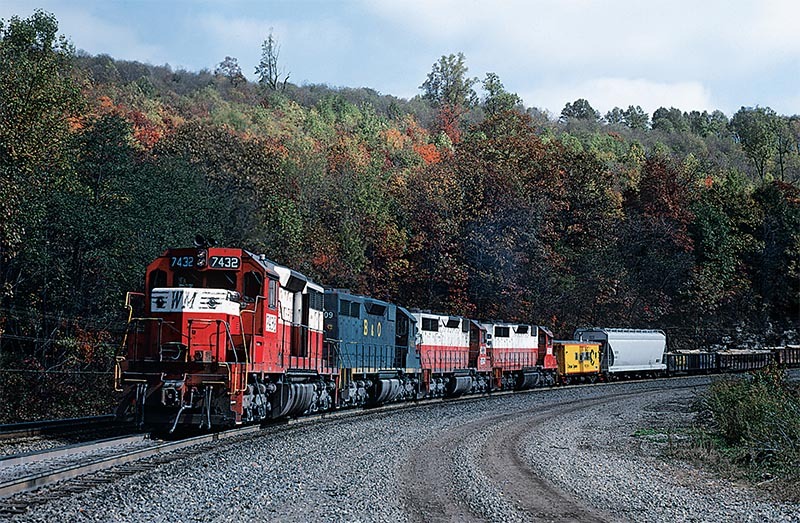 As the early to mid 1980s ensued, so did the change of the railroad scene. 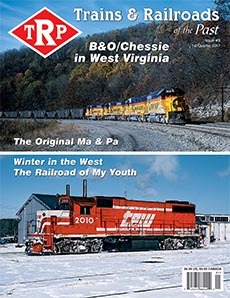 The Norfolk & Western merged with the Southern Railway to form Norfolk Southern in June 1982 while the C&O and B&O were merged into the modern day CSX Transportation in 1986 and 1987, respectively. During the early 1980s, I would venture down to the Baltimore and Ohio’s Maryland and Monongah Divisions with my good friend Mark Perri from Akron, Ohio. We both developed a keen interest in B&O operations during the 1970’s. I was a frequent visitor to the B&O in the Cleveland area, spending time on both the Cleveland and CT&V Subdivisions while Mark was trackside viewing B&O’s Akron Mainline Subdivision mainline and branchline action in his hometown of Akron. We met one another in 1980 while chasing the 4070 steam trips along the CT&V Sub and been good friends ever since. Departing my hometown of Parma, Ohio, on Friday evenings, I would swing by and pick up Mark at his place in Cuyahoga Falls near Akron and head south and east toward West Virginia before arriving at M&K Jct. shortly before midnight. During the night, we would hook up with long-time B&O fans Scott Snell and Rodney Miller from eastern Pennsylvania. 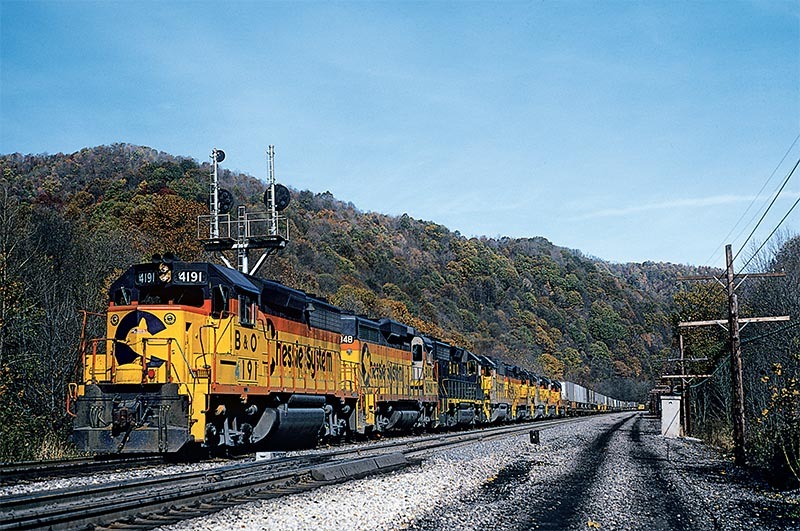 The purpose of the weekend trips was to photograph B&O action along the Cumberland-St Louis main line between CA Tower at Terra Alta and MK Tower at Rowlesburg, W. Va. Within these two locations is where Cranberry and Cheat River grades were located. With its twisting and turning topography, it was one of the toughest operating districts on the B&O system. After having breakfast at a diner in the small town of Rowlesburg, we ventured over to MK Tower to get a line-up from the operator. From there, we headed up to Cranberry Grade to begin our day of photographing the action. 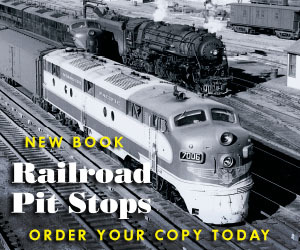 Read the rest in the 2017-1 issue of Trains & Railroads of the Past!